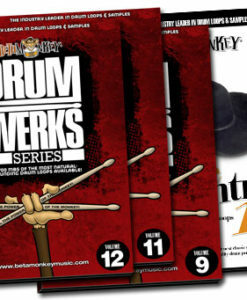 Beta Monkey’s drum loops are recorded in some of the most sought-after drum rooms and performed by A-list studio drummers. 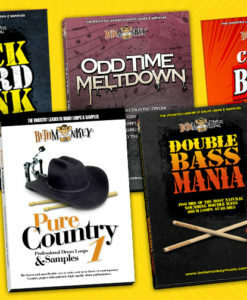 With more than 50 drum sample libraries, we have nearly any songwriting style you’ll need. 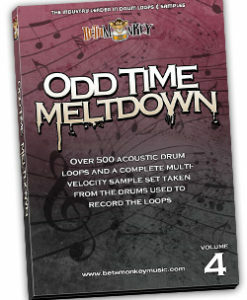 Drag and drop, change and rearrange – get the only drum loops you will ever need. 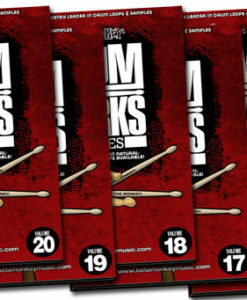 Download 100% live drum loops and samples now! 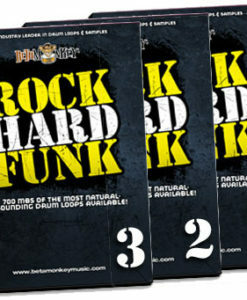 Get the funk tracks you want with this massive collection of grooves, breaks, fills, and samples. 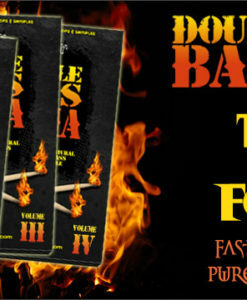 The Rock Hard Funk Series will power your rhythm section with the real deal, not the cheesy stuff that plagues our competition. 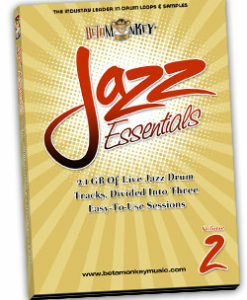 If you're tired of the same tired beats, get yourself nearly 2 GB of a new and original funky drummer into your music. 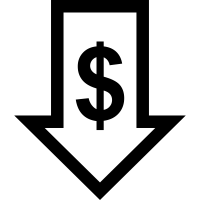 Total Loop Content: 2.0 GB, includes drum and cymbal samples for all recorded loops. 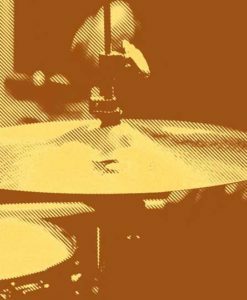 Live Jazz Drums – There’s No Substitute! All Beta Monkey sample libraries include all popular drum loop formats, including 16bit and 24bit .WAV, APPLE LOOPS, and REX2. 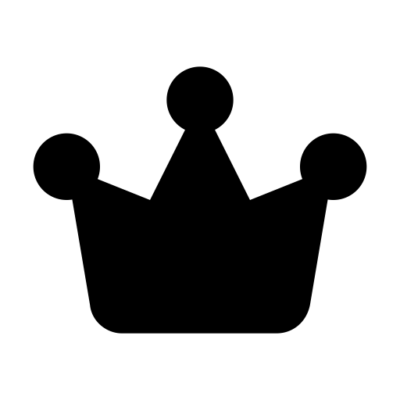 Compatible with Ableton Live, Logic Pro, Pro Tools, Cubase, FL Studio, Studio One, Reason, Reaper, and all other audio hardware, software DAWs. 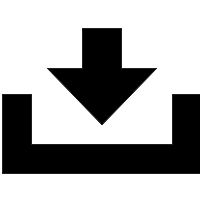 All loop sample packs can be downloaded instantly. 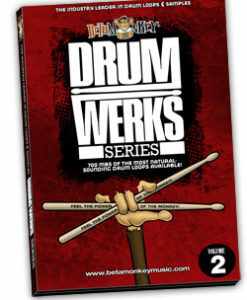 Get the drum tracks you want when you need them. 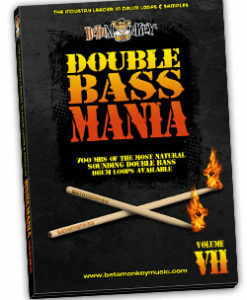 Expand your arsenal of drum loops instantly. And, if you ever lose your grooves for any reason whatsoever, we’ll get you another instant download whenever you need it. Get world-class studio drum sounds without the high prices. One day recording in a drum room can easily run into the thousands. Getting A-List studio drummers can easily cost as much. From famed studios in Los Angeles, Berkeley, Oakland, Nashville, New York City, and San Francisco, we bring those sounds and grooves directly to your tracks. Without the massive bill, of course. It’s simple. 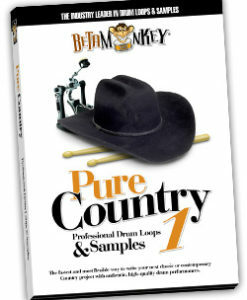 You get great drum loops for less with Beta Monkey. Compare the quality and quality with any of the competition and there’s no question. The days of over-hyped, over-priced (yet underwhelming) drum samples are long gone. We deliver the styles few, if any, other sample shops will touch. 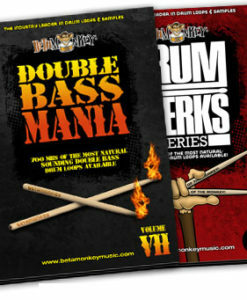 Looking for grooves in 5/8, 6/8, 7/8, or 12/8? 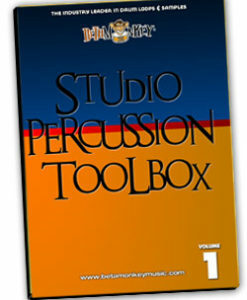 Want to build drum tracks for blues, country, fusion, jazz, metal, rock? 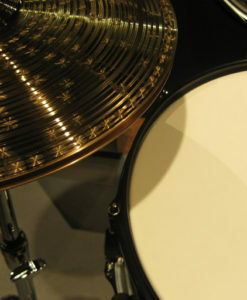 Find your grooves in our shop and get your music going today with our constantly-updated product offerings. We’ve remained the world’s most popular independent drum loop shop for nearly 20 years for a simple reason: great drums, great prices, and great service. We’ve inspired over 75,000 artists worldwide to record, edit, and mix their music with easy-to-use and natural acoustic drums – it’s time to find out why. 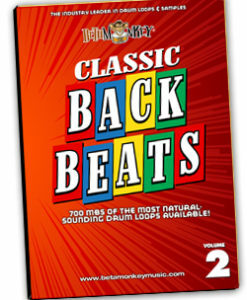 What are the most popular loop packs customers have been using over the years? Have a look! More bang (and beats) for the buck. 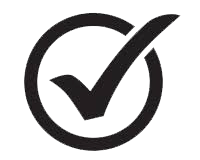 Hand-picked multi-library sample collections for specific musical genres. What really matters is how our loops inspire your creative process. 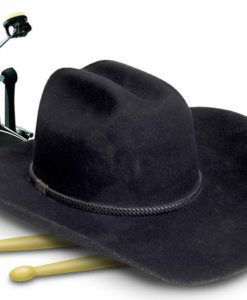 Listen to hundreds of user-submitted songs, for nearly every musical style imaginable.